You are at:Home»Articles»What does the future for Irish news look like and who will pay for it? What does the future for Irish news look like and who will pay for it? The 2016 Digital News Report (Ireland) finds the Irish are not only unwilling to pay for online news, they are also active in blocking the advertising that subsidises journalism. Online, Irish news tends to be free with subscriptions occupying only a fraction of the market. So where is the money going to come from? Ireland is a highly digitised nation with high levels of digital platform and device use. However, we have not passed the digital tipping point just yet. 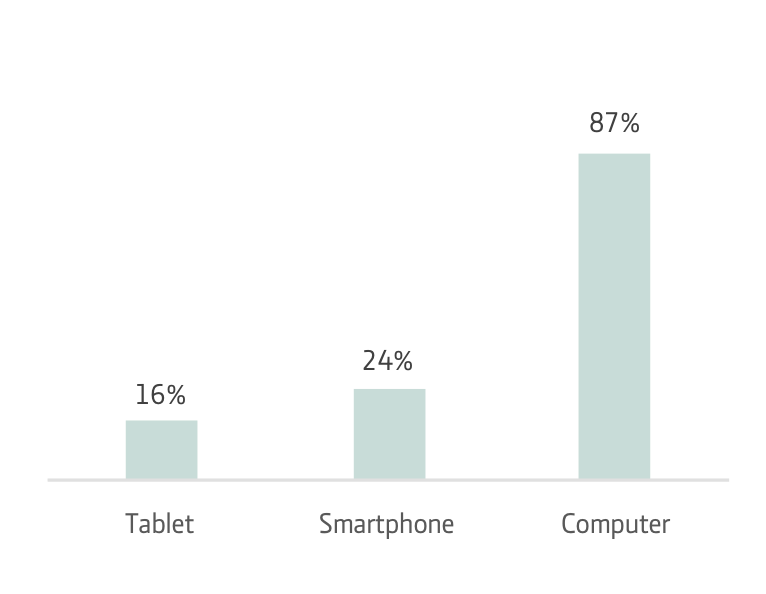 Some 73% get news from TV while 70% use online sources. But use of traditional news sources like TV, radio and print is falling, as is the advertising revenue that goes with it. Earlier this year, former RTÉ director general Noel Curran warned of further pressures as charges for TV advertising are dropping to meet increased competition in the sector. Digital news is expanding and while News Brands report increases in advertising revenue, digital adverts yield much lower returns than traditional print or broadcast adverts. New consumption routines develop as we incorporate new technologies into our lives and ‘old’ platforms can take on new roles. News cultures are different and it may be that the Irish will retain a strong alliance to TV and other traditional sources of news. Video never did kill the radio star. Nothing is ever really free, so who is going to pay for Irish journalism? Online media has brought new players into Irish journalism, increasing the range of news sources and offering a wider range of views. And these are largely free. The funding of digital journalism is a critical concern for the Irish public. Well resourced newsrooms are necessary if journalism is to to perform its basic fourth estate function and act as a watchdog to political, business and other institutional power. Yet, in Ireland, fewer than a third of Irish news consumers view the national media as free from undue political or commercial influence. 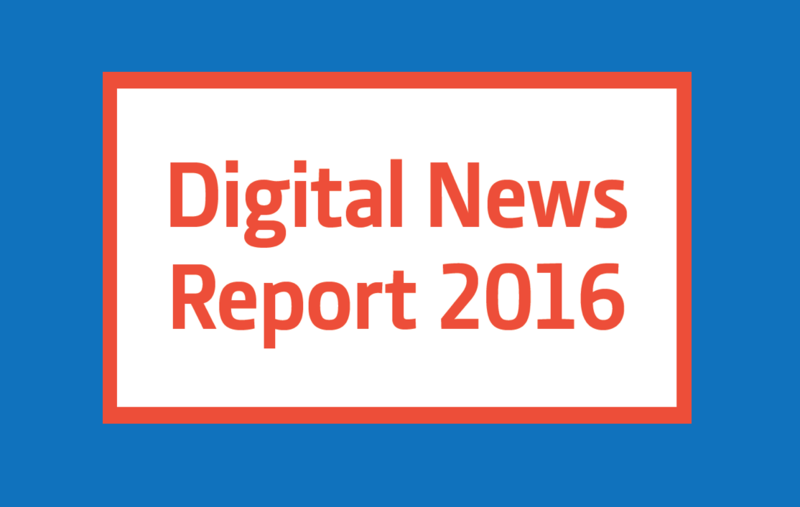 The Irish are largely unwilling to pay for digital news. 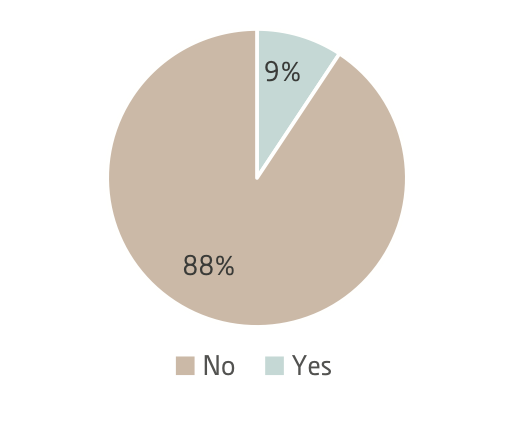 Only 9% currently do and of the 88% who don’t, most say they would not consider it. Free access is the dominant model in the Irish online news market. Online, free access reflected the nature of the Internet when The Irish Times first went online seventeen years ago. It is only in the past three years we have seen the introduction of hard paywalls at the Sunday Business Post and Sunday Times and metered paywall at The Irish Times. The Sun.ie recently erected and then dropped a hard paywall. The free digital news status quo looks set to continue and so online advertisers are increasingly important as a main revenue source. But what happens when the advertising that funds the news interferes and becomes a barrier to it? More than half of Irish people (54%) find online ads intrusive. 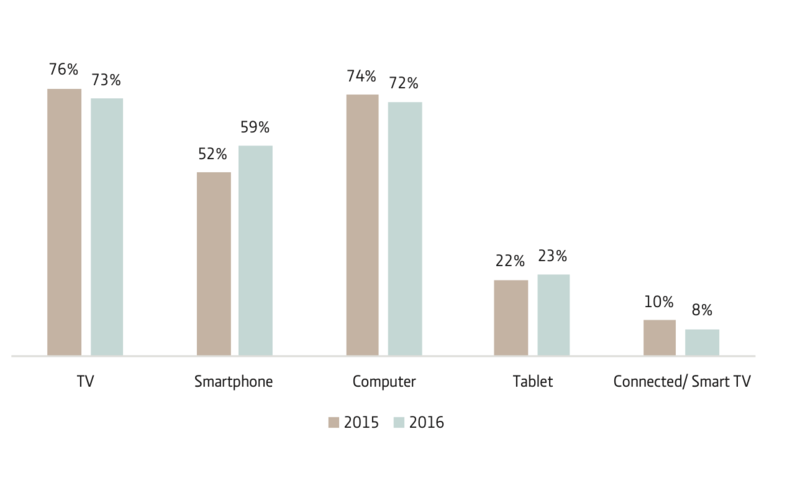 About a third of digital news consumers have ad blockers installed, mostly on computers but on smartphones too. This represents the fifth highest use of ad blocking among the 26 countries surveyed and the highest in the English speaking world. Ad formats are certainly an issue. Pop-up adverts are a frustrating intrusion and our research found that 25% of people find pre-roll adverts on video news a turn-off. Ad blockers enable news consumers to take control over their online experience, removing distractions and enhancing the experience. But they are problem for news producers and impact revenue streams. And although no Irish titles have taken action just yet there is precedent elsewhere. In some cases, publishers try to persuade users to pay with notices about subscriptions. Other publishers take more direct action by denying access to those using ad blockers. However, Forbes recently rolled back on their ad blocking ban. How can Irish news producers respond to ad blockers and how should they? 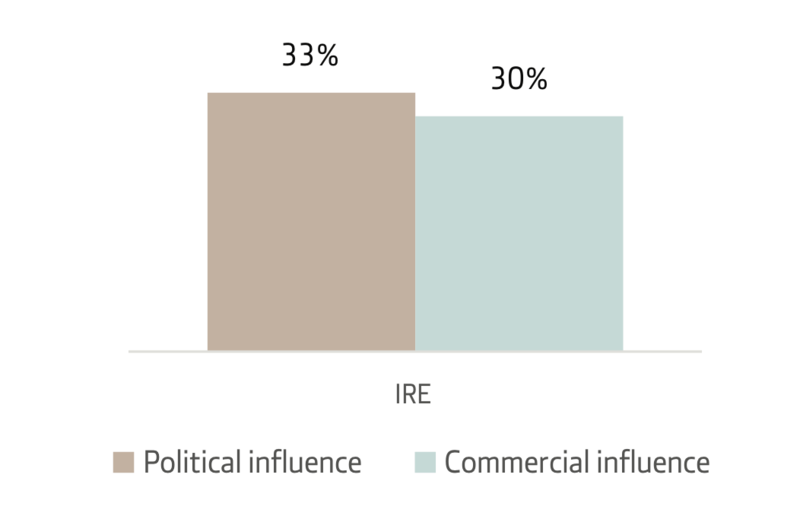 In terms of how Irish news producers respond, it is worth considering how audience experiences and expectations around advertising developed through other platforms. Typically, TV shows acknowledge that ad breaks are an opportunity to leave and put the kettle on. There is no implied obligation to sit and watch the ads to support the TV network. It is difficult to put an obligation on the audience on one media platform that does not exist on another. Publishers can try but it is unlikely to succeed as long as the means to ‘avoid looking’ are available. The issue of ad blocking may not be a major consideration for Irish news producers yet, but it will be. Younger news users are more likely to have an ad blocker installed and research shows that the vast majority of those who install an ad blocker keep it. Nevertheless, and despite the fact that ads are regarded are intrusive, 42% are willing to see adverts in exchange for free digital news, 32% don’t mind provided it is not too intrusive. If news and digital advertising are to work together, they must appeal to the audience without tainting the quality of the news product. There are a wide range of emerging integrated advertising options. Some examples include Surround Sessions where advertisers can target specific demographics of a news website’s subscribers for the time they are on it; working with social media companies and selling subscription through third party apps; or introducing relationships with other business and taking contribution as ‘topic experts’. Paid posts and sponsored content are all working here and elsewhere. RTÉ is largely funded through TV license fees with additional advertising revenue. The public return on investment is evident in the fact that RTÉ is the dominant brand for Irish news on TV, radio and online. Much like RTÉ, most legacy brands are no longer tied to one platform. They are multi-media producers. Online, RTÉ competes with every other news brand but with a revenue stream enforced by law. But then RTÉ also has specific responsibilities and system of accountability that come with public funding. There are calls for a reform of RTÉ’s public funding as further financial pressures are predicted The proposed broadcasting charge that was to begin in January 2015 is no longer being pursued. There are complaints that the license fee gives RTÉ an unfair advantage and calls for a reformed PSB charge extended to fund public service broadcasting in private companies. But this opens up another set of issues. Who pays for the production of our news is not just a concern for media mangers. How news is funded must work for the public at large not just for the profits of the news producers. Ireland’s mixed model – where digital news is supported through subscriptions and advertising, and a public broadcaster – has plenty of advantages for audiences. But there are issues of transparency with the audience about where the funds are coming from and ensuing that this does not impact news quality. There is some movement to ensure standards in online advertising. A recent initiative to self-regulate digital advertising was launched in Ireland. The Interactive Advertising Bureau Ireland (IAB) is a trade association aiming to set standards and best practice in online advertising. But for optimum consumer protection, best practice needs to be formerly regulated and with the rights of the audience at its core. The resources that are dedicated to news production impacts the quality, everyone can do better when they have more. More investigations, better breaking news and a wider range of self-generated stories. We can’t expect good quality news in to the future of the resources are not there to fund it, and another wave of disruption could be on the horizon.